The state of Nebraska is continuing to recover from the devastating floods that have obliterated everything in their wake. So far, 74 cities, 65 counties and four tribal areas in Nebraska have declared a state of emergency due to the deluge, and at least three people have been confirmed dead. One of the worst affected farms in the region belongs to the Ruzicka family — fifth-generation ranchers who date their cattle farm all the way back to the Homestead Act of 1862. The rach took a huge hit from the ice-laden flood waters, after the Spencer Dam was compromised and vast quantities of frigid water began to pour onto the land. The loss of cattle, machinery and property was absolutely devastating, with Anthony Ruzicka saying earlier this week that there was likely no way that the family’s business would recover from this, the worst flooding in 50 years. However, this stoic family is certainly not giving up, and is asking for all the help they can get at this extremely testing time. 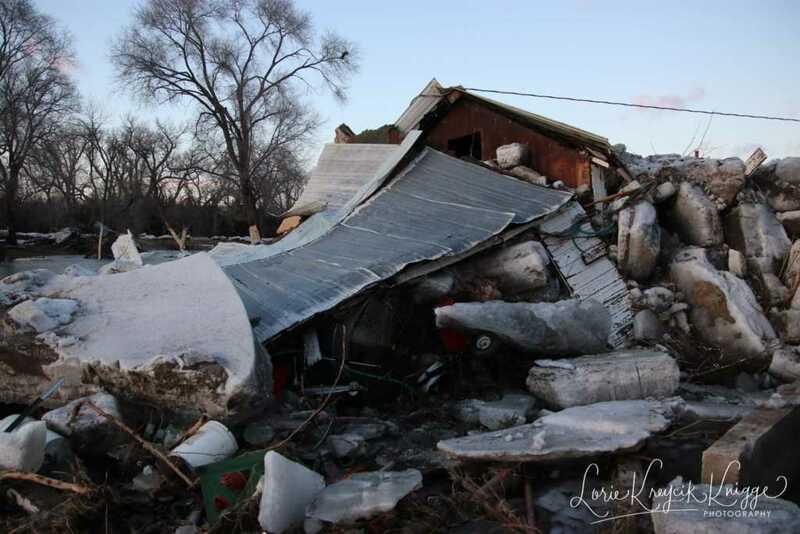 Faithwire spoke with neighbor and family friend, Lorie Kreycik Knigge, who was there when the waters rushed in, to get an update on the current situation at the Ruzicka farm. Knigge recalled receiving the call that the Spencer Dam had split, and said that from this point on, it was a mad rush to try and salvage anything they could from the farm. Once the water had settled, however, the extent of the damage and loss became clear. Knigge recalled the horrifying moment that the icy water began rushing into the historic farmyard, sweeping away everything in its path. So far, over $30,000 has been raised for the family — with many messages of love, support and prayer posted to the page. “The outpouring of help from family friends, neighbors and volunteers is helping lift spirits and giving the family hope,” Knigge said. Indeed, despite the monumental setback, senior member of the Ruzicka family, Willard, said he would not be giving up this historic plot of land without a fight. Do continue to pray for all those affected by these devastating floods.